3700451 JS130W JCB JS130W Wheel Excavator. Spare Parts Catalog. Service (workshop) Manual. Operator's Instruction Manual. 3700452 JS130W (R3) JCB JS130W (R3) Wheel Excavator. Spare Parts Catalog. Service (workshop) Manual. Operator's Instruction Manual. 3700453 JS130W Tier 2 JCB JS130W Tier 2 Wheel Excavator. Spare Parts Catalog. Service (workshop) Manual. Operator's Instruction Manual. 3700454 JS130W Auto Tier 3 JCB JS130W Auto Tier 3 Wheel Excavator. Spare Parts Catalog. Service (workshop) Manual. Operator's Instruction Manual. 3700455 JS145W JCB JS145W Wheel Excavator. Spare Parts Catalog. Service (workshop) Manual. Operator's Instruction Manual. 3700456 JS145W Tier 2 JCB JS145W Tier 2 Wheel Excavator. Spare Parts Catalog. Service (workshop) Manual. Operator's Instruction Manual. 3700457 JS145W Auto Tier 3 JCB JS145W Auto Tier 3 Wheel Excavator. Spare Parts Catalog. Service (workshop) Manual. Operator's Instruction Manual. 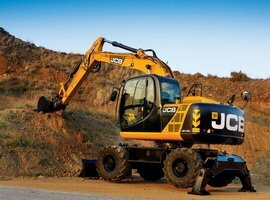 3700458 JS150W JCB JS150W Wheel Excavator. Spare Parts Catalog. Service (workshop) Manual. Operator's Instruction Manual. 3700459 JS160W JCB JS160W Wheel Excavator. Spare Parts Catalog. Service (workshop) Manual. Operator's Instruction Manual. 3700460 JS160W Tier 2 JCB JS160W Tier 2 Wheel Excavator. Spare Parts Catalog. Service (workshop) Manual. Operator's Instruction Manual. 3700461 JS160W Tier 3 JCB JS160W Tier 3 Wheel Excavator. Spare Parts Catalog. Service (workshop) Manual. Operator's Instruction Manual. 3700462 JS160W Auto Tier 3 JCB JS160W Auto Tier 3 Wheel Excavator. Spare Parts Catalog. Service (workshop) Manual. Operator's Instruction Manual. 3700463 JS175W JCB JS175W Wheel Excavator. Spare Parts Catalog. Service (workshop) Manual. Operator's Instruction Manual. 3700464 JS175W Auto JCB JS175W Auto Wheel Excavator. Spare Parts Catalog. Service (workshop) Manual. Operator's Instruction Manual. 3700465 JS175W Tier 2 JCB JS175W Tier 2 Wheel Excavator. Spare Parts Catalog. Service (workshop) Manual. Operator's Instruction Manual. 3700466 JS175W Auto Tier 3 JCB JS175W Auto Tier 3 Wheel Excavator. Spare Parts Catalog. Service (workshop) Manual. Operator's Instruction Manual. 3700467 JS200W JCB JS200W Wheel Excavator. Spare Parts Catalog. Service (workshop) Manual. Operator's Instruction Manual. 3700468 JS200W Tier 2 JCB JS200W Tier 2 Wheel Excavator. Spare Parts Catalog. Service (workshop) Manual. Operator's Instruction Manual. 3700469 JS200W Auto Tier 3 JCB JS200W Auto Tier 3 Wheel Excavator. Spare Parts Catalog. Service (workshop) Manual. Operator's Instruction Manual.